McGregor Shott was approached by the City of Menifee to create an identity system for their Economic Development department. 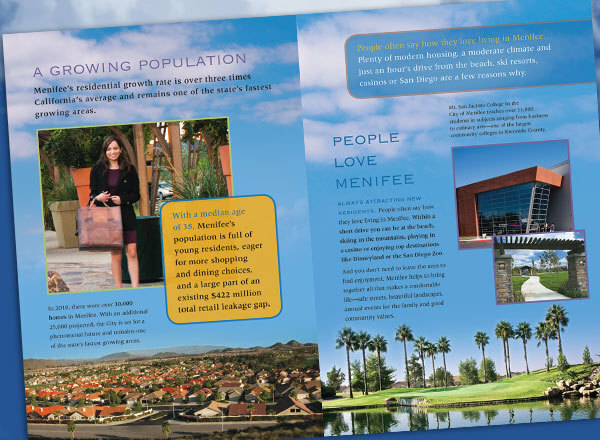 Menifee needed a brand to attract much-needed retail and industry to the relatively young, moderately upscale and rapidly growing community. 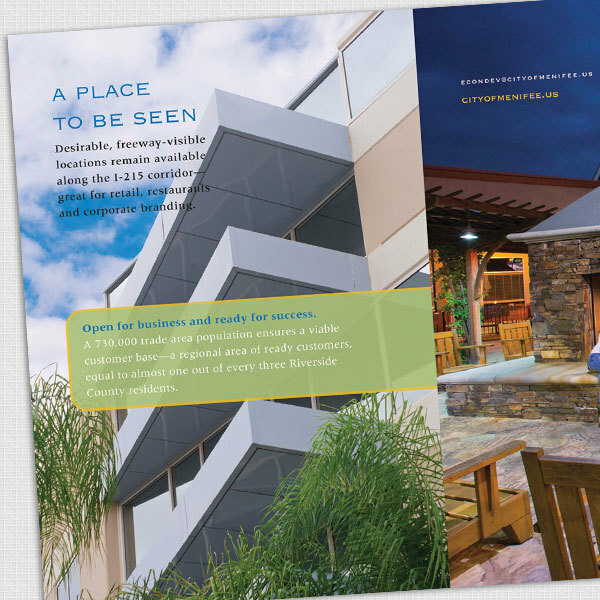 We provided materials from the ground up, including the featured Retail Attraction brochure, which highlighted the benefits of doing business in a new City with a growing population desiring fine places to dine, work, and shop.